A day that reminds us of how great our bond is with our mom is here. This special day is none other than Mother’s Day. Entire world celebrates Mother’s Day, will full zest but celebration is only complete when your mom is happy. 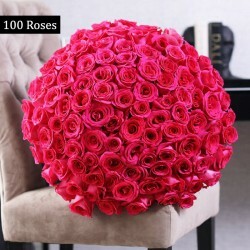 So make her happy by sending exotic and beautiful collection of flowers to Kanpur. Wish your mom in unique style, that she can never forget. This Mother’s Day send her stunning, gorgeous and fresh flowers to surprise her completely. The wonderful range of fresh flowers is peaceful to eyes and surrounding. 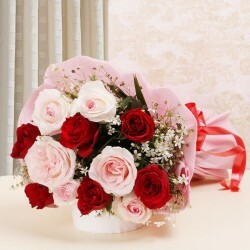 You can send these Mother’s Day Flowers to Kanpur as a beautiful gesture that your mom will admire most. We all share an exceptional bond with our mom. She is the most special person in our lives who support us through thick and thin and when she is not around, we definitely cannot find anything by ourselves. Mom is like a magic and we all can relate to this. So why not tell her how much you love her, respect her and cannot live without her this Mother’s day. Yes, wishing your mom with one single message is not enough, you can now express your feelings and thank your mom for everything by sending her Mother’s day special flowers like splendid pink, pink love, blooming love, freshness personified, humble bunch, love of 500 roses, orange happy gerberas, royal lilies, happy bunch, roses tree, the big A, etc. You can send these Mother’s Day Cakes and flowers Kanpur to surprise your mom. Where there is a mother, there is everything and when you have three mothers for you isn’t it great? Your mom, your mother-in-law and your lovely grand mom, they have been constantly with you whenever you need them in different phases of life like, when you are a kid to adult, your mom is there to support you, love you unconditionally, when you get married you get another mother and she is none other than Mother-in-law and when you need a great grand support for anything you do, your one and only grand mom is there. So why not this mother’s day surprise your dear moms with natural, garden fresh flowers from MyFlowerTree. We have a special collection of flowers available that you can get with our fastest and easiest Mother’s Day Flowers Delivery Kanpur.